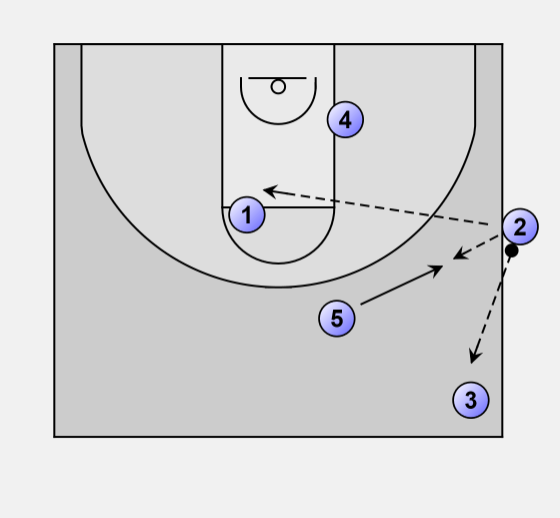 On this play we isolate whoever has the post miss-match and enter directly from the wing...if they are fronted we lob. 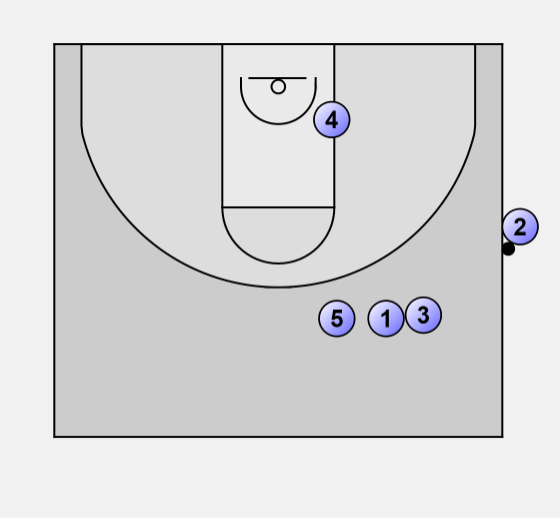 If not available, 5 will back-screen for 1 for backdoor entry, and 3 and 5 then cut to the ball. Miss-match of 4 in the post. 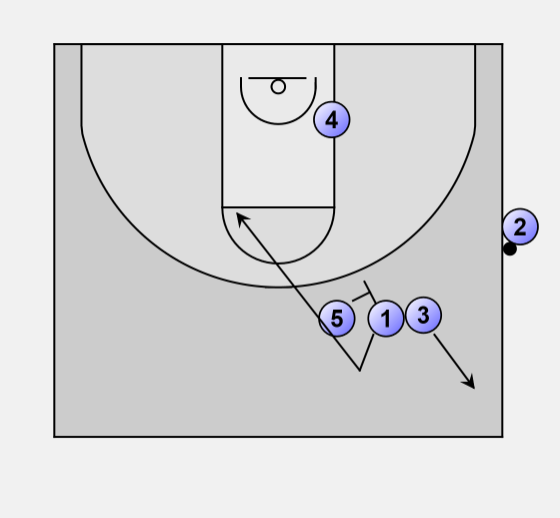 5 sets a screen for 1. 3 steps to the mid-line. 2 passes to either 1 or 3. 5 rolls towards the ball as a final option.